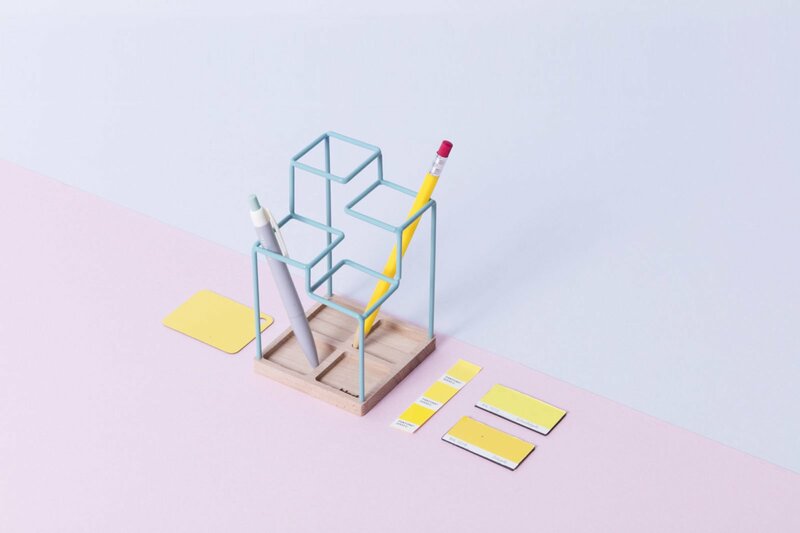 Cheer-inducing colors blended with simplicity and function, the Desk Tidy pen holder brings a playful accent to workspaces. The design displays UK-based Block Design’s penchant for using vibrant hues and minimalism. Inspired by the architectural sketches of Block lead designer Tara Ashe, the organizer creates a play on positive and negative space. Pen storage becomes more convenient thanks to the separate spaces for writing materials of different sizes, while the beech wood base makes storing smaller items or accessories easy. Each pen holder comes in a bespoke box that boasts a commissioned piece of graphic design. Gessato is an authorized retailer of Block products. We purchase all of our Block products directly from the company in order to bring you genuine items that represent the best in contemporary design. 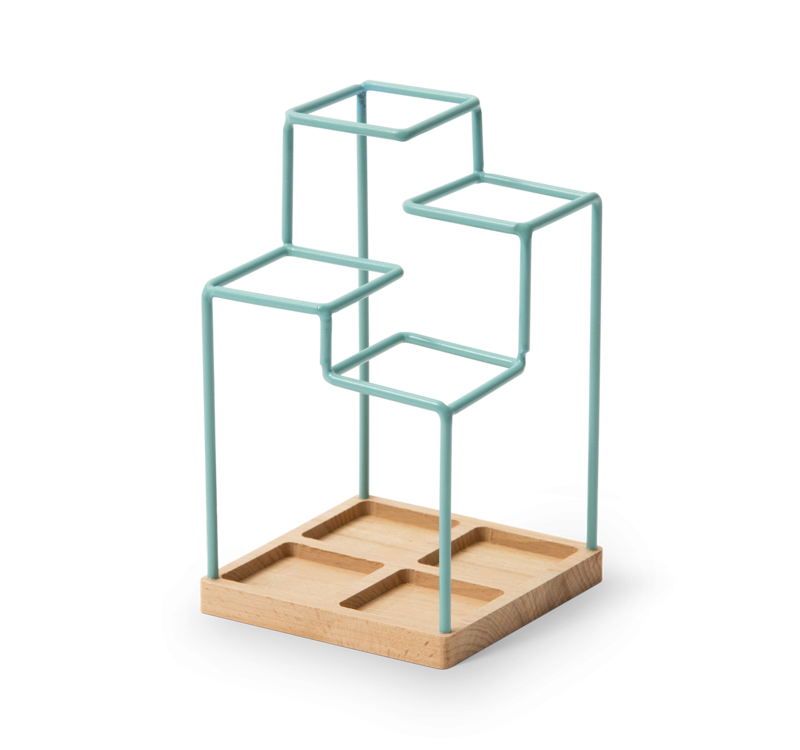 Every Block product in the Gessato shop is authentic, comes with official brand packaging, manufacturer’s warranty (where applicable), and is sold with Block's authorization.